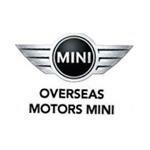 Overseas Motors Mini is a MINI car dealership in Windsor, ON. They offer deals on new and used MINI vehicles, MINI parts, service, and more. Sal Kurdi is General Manager of Overseas Motors Mini. Products Carried: Overseas Motors Mini offers great prices on new and used MINI vehicles in Windsor, Ontario. Overseas Motors MINI offers low financing on many MINI vehicles, MINI parts, tires, service, accessories, and leasing and financing options. The premium Windsor MINI car dealership serves Windsor, Sarnia, Chatham, Essex, and the surrounding areas.